I know I’m late to the Kill Cover club, but I picked up three different variations of these Clio cushions to try. The one I’m reviewing today is the newest cushion (so I was told) released by Clio and it is the Kill Cover Liquid Founwear Ampoule Cushion. I’ve never tried any of the Clio cushions so I’m excited to see what all the hype is about! The ampoule cushion is a waterproof, 24-hour hydrating formula that contains SPF50+ PA+++. It claims to whiten and brighten the skin, improve wrinkles and elasticity, and give an all over radiant glow. This cushion contains more than 52% moisture and features a double silk ampoule with Adenosine. It offers “perfect coverage” for all-day wear without feeling heavy or greasy, and can conceal wrinkles and fine lines. This cushion comes with a refill and retails for $38 USD. I got mine in store for 25600 won. I couldn’t find a list online so I’ve included a picture of what was listed on the box. Anyone who knows Korean, feel free to chime in if you know what this says. I tried Google translating it, but it doesn’t seem accurate. My first impressions were quite good (tested without primer)- it felt comfortable to wear and was hydrating without being overly dewy. It was definitely more comfortable to wear than the original Founwear formula. I got the shade 3-BY Linen and it was a pretty good color match. I didn't experience any oxidation so you can just buy your normal color. It offers medium coverage, but won’t cover any dark pigmentation so you’ll definitely need concealer. It has a natural finish and there is no flashback. Fragrance wise, there is a slight perfume smell, but it's light and clean. This cushion transfers and moves on the skin really easily so don’t touch your face or rub your nose. I find the latter impossible especially since it’s allergy season. I like to use oil-blotting sheets to soak up any excess oils prior to setting foundation with powder so I tried it with this cushion and that was a mistake. The oil blotting sheets lifted the foundation off my skin so I had to reapply. 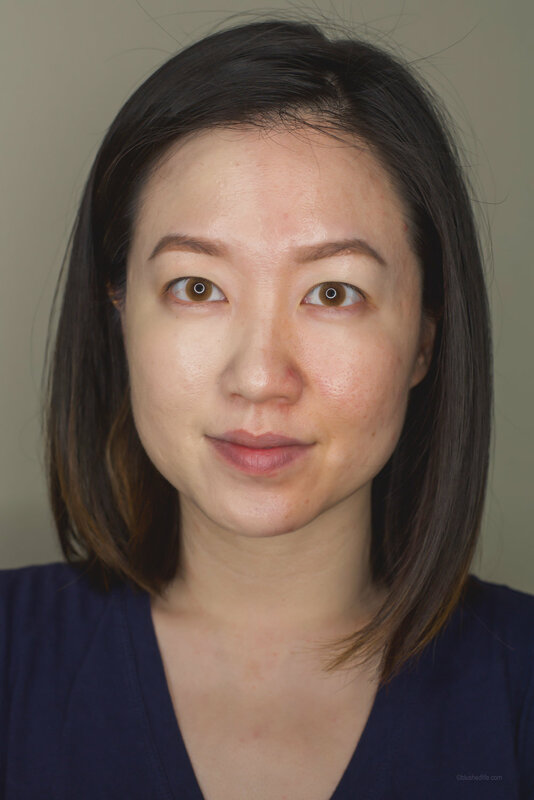 Aside from that, I set with powder and everything was great- blush and highlighter applied smoothly! There was a tiny bit of settling in my smile lines, but you could only see that if you were an inch from my face. Overall the cushion looked great on my skin! +2 hours: Caking around smile lines, mouth and chin. +3 hours: Shiny t-zone, some foundation disappeared around forehead. +5 hours: Way too much shine and more foundation disappeared. 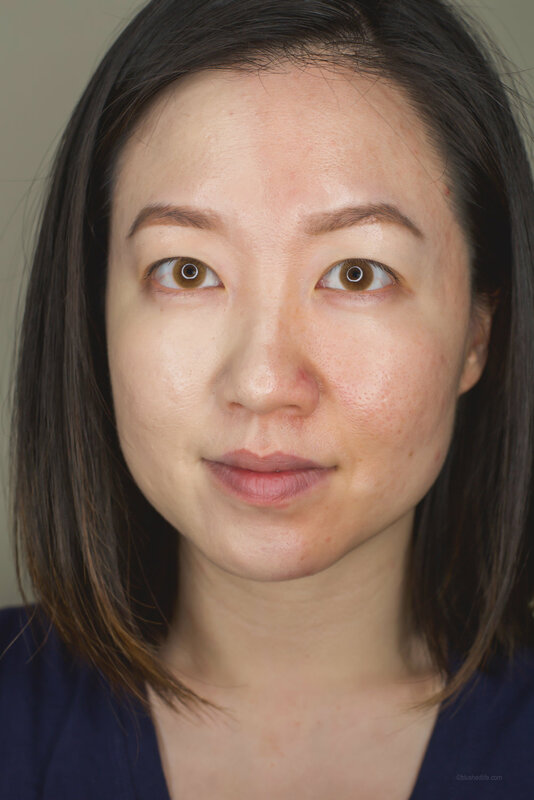 End of day: 50% of foundation is gone from chin, tip of nose, forehead, and under nose. At least blush and highlighter survived! Total wear time for me was a short 3-4 hours. What?! Where is this all-day wear wear claim coming from? I don’t like to do touchups and reapply base makeup throughout the day so this was a bit disappointing. I didn’t test its waterproof claims, but honestly I don’t think it would last. Just a few strands of hair that touch my forehead can lift the foundation so I’m not seeing how it can survive a trip to the pool. I wish this cushion didn’t move and transfer so easily. It looks beautiful when first applied, but it didn’t last on my combination skin. 3-4 hours of wear time is too short! This is definitely more suitable for those with normal to dry skins or during dry weather seasons. I’ll give it a few more tries and if I find a way to make it last longer I’ll update this review. There are some listings on Amazon, but they didn't seem trustworthy so I've only included the original source.